A wonderful thing happened recently on the way to the closing table. The buyer and seller agreed to terms and told their attorneys to make it happen! This is significant because many people let their attorneys take control of the deal as if they are the only ones who can make decisions. This particular deal was one that stretched on for a couple of additional weeks while attorneys argued over a few sentences. Of course, they were rightfully trying to protect their clients. In the end, the buyer and seller were able to get through their differences face-to-face, and then their Apex Advisor got the attorneys on the phone so both sides could advise their attorneys to document their verbal agreements. We’re not here to bash attorneys. Hey, some of our best friends are attorneys! They’re critical to these deals getting done successfully. But it’s important for buyers and sellers to know is that attorneys are advisors/vendors/suppliers who should be managed. Ultimately it’s your responsibility to make sure they understand you want the deal to happen and what your risk tolerance is. That’s the best way to make sure a quality deal gets done…and that you will walk away happy with the outcome. A recent lunch conversation with Dave Seitter, a partner with Spencer Fane LLP, and Doug Hubler with Apex Business Advisors, regarding the sale and acquisition process of businesses served as inspiration for this blog and a series to follow. Dave has been involved with business acquisitions for years and offers a unique perspective from the legal side regarding deals. Doug has also been active in M&A activity for many years and offers a perspective from the deal-making side of the equation. The goal of this post and future “Dave and Doug” posts is to educate our audience on the art of getting deals done. Dave: What do you recommend when your client says “I have to have a certain price for the company” while at the same time all advisors indicate the company is not worth the amount the client seeks? How do you level-set expectations? 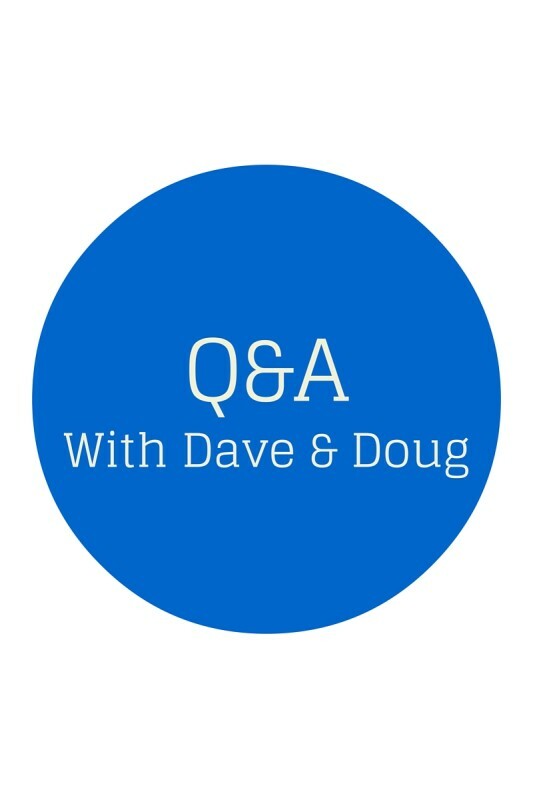 Doug: We run real numbers for the seller so they can better see that their anticipated value would put a buyer in a real bind financially. Almost every buyer will leverage their personal investment to buy a business and generally get a loan for 75%-80% of the purchase price. So, after debt service, a salary, and required cash to operate the business, there needs to be something remaining for a reasonable return for the risk. How do you handle these clients, Dave? Dave: Folks will often come to my office with certain inherent beliefs about their business…and frankly, they’re right, because it is their business and they know it very well. Oftentimes in representation there’s a difference between what someone has been receiving from the business vs. what they can obtain from a sale. So we go to the yellow pad test and on one side outline what money they need from the business measured against what the business justifies for a sales price. Doug: Sellers will often reverse the market price into how many years they would have to work to make the same money. For example, the seller says, “So if I only get $1 million for my business, I could just work 3 or 4 more years to make the same amount.” Absolutely! In our view, this person isn’t ready to sell. True, they could work for another 3 or 4 years, but is that really what they want to do? We would be happy to sit down with you at any time to discuss business value and the strategy to go to market. If you’re interested, email me at dhubler@kcapex.com to learn more. This process takes time, so the earlier you get started, the better off you’ll be. Apex Business Advisors would like to welcome Brandt Hill to our advisory team. Brandt has many years of Investment Banking and Entrepreneurial experience, which will be a huge benefit to his clients. Check out his bio link above to learn more about Brandt. 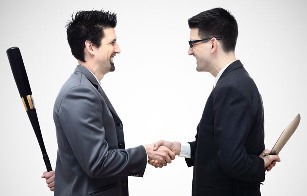 Contracts can be a painful process when completing transactions of any type, and It can be tempting to forego a contract for a simple “gentlemen’s agreement”. After all, we are all good people, we are friends, we trust one-another, so let’s just agree to agree. Right? Wrong! 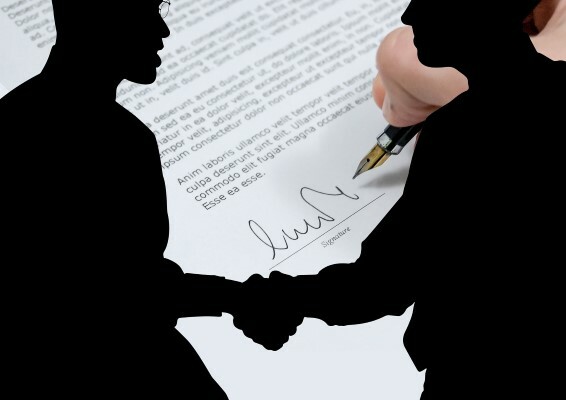 Contracts actually strengthen our bonds of friendship and trust. Our intentions need to be written down so there is no confusion, especially when our memories get a little foggy a year or two from now. I’m talking about good people with good intentions who get confused or have differing perceptions of what it was they agreed to during that hand shake. “Partnerships” start with high expectations and general agreement on most details, but it never fails that a couple years down the road, the grumblings start. One shareholder thinks they are contributing more to the business than the other guy and should get a bigger piece of the pie. One partner thinks they are contributing more to the business than the other guy and should get a bigger piece of the pie. If this hasn’t happened to you, you probably know someone who has gone through it. Business divorces happen all the time because the detailed business plans, goals, partner roles, and expectations were not in writing. Obviously, a contract won’t cover every variable, but it can be as detailed as necessary to memorialize your plans, goals, roles, etc. The same consideration needs to be made when selling a business or buying a business. Clear expectations of training, transition, financing, representations and warranties, list of assets to be transferred, etc., need to be written down in detail. If I agreed to train a buyer of my business, I want to them to know that I will put in so many hours a week for a number of weeks and not leave it open-ended. Open-ended agreements will lead to problems. Apex Business Advisors will guide our clients to get proper legal advice when completing a transaction, so talk to one of our Advisors about how to find a qualified attorney.